Nero creates software applications and platforms that help consumers simply enjoy their photos, videos and music. Its free Nero MediaHome platform enables consumers to access, enhance and share their digital content across PCs, smart phones, tablets and online social networks. 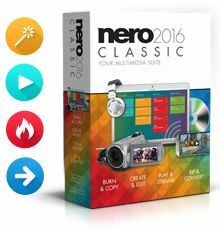 Nero also produces a top-selling multimedia software suite, which contains powerful applications for media management, video editing, video converting, file back-up, content syncing and disc burning. As creators of liquid media technology , Nero’s mission is to enable liquid content creation and distribution anytime, anywhere, and on any device. The new Nero 2016 now gives multimedia fans an even more advanced and powerful all-in-one solution for managing, streaming, playing, editing, ripping copying, burning and sharing files. With Nero 2016, creativity has no limits when it comes to making the most of your photos, videos and music in exceptional quality. 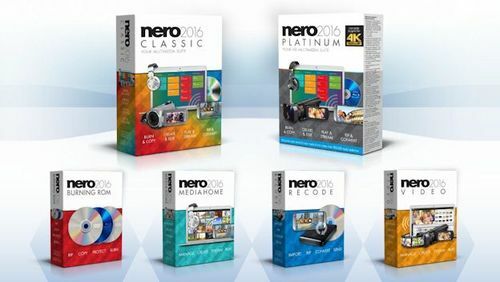 The Nero 2016 Classic and Nero 2016 Platinum suites provide full support for Windows® 10 and introduce over 20 great new features which revolve around multimedia streaming functions, the integration of smartphones, tablets and smart TVs, as well as auto-optimized picture and sound quality, alongside many usability improvements and increased performance. Nero 2016 consists of tried-and-tested stand-alone solutions, such as Nero Burning ROM 2016 (burning software), Nero Recode 2016 (video converter and ripper) and Nero MediaHome 2016 Unlimited (media file manager and media server) that have also been upgraded with the new functionalities and which can be purchased separately online. 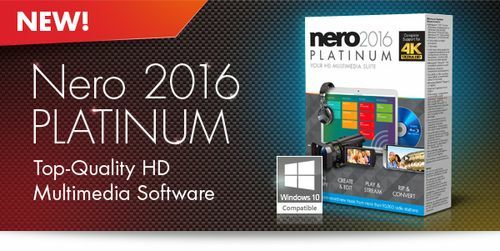 In addition to comprehensive 4K video support and the full feature set of Nero Video 2016 (video editing), Nero 2016 Platinum also includes an unrestricted full license for the new music search and recording software stashimi from the company bearing the same name. All the mobile apps can be downloaded for free from the App Store and on Google Play. with top-quality results on virtually any device! The multimedia software Titan moves with the times - from burning to streaming. For 20 years now, quality and reliability have mattered to you. We’d like to thank you for your trust. 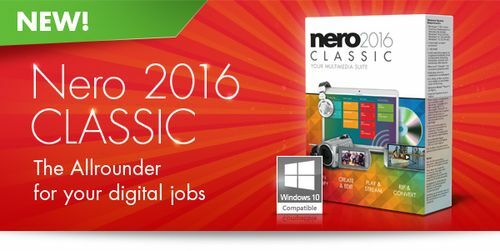 Perform complex tasks easily with Nero 2016 Classic, the straightforward all-round solution! 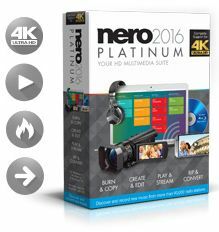 Whether you’re burning, copying, creating, editing, playing, streaming, ripping, or converting, whether your PC, camera, or smartphone – your multimedia files are in the safest hands with Nero.